" Best guided ride I ever had. The horses are in a good condition and well looked after, just as the equipment. They were well trained and sensible, awesome for experienced riders! Elfi was very welcoming and always looked after us, it felt more like riding with friends than a guided ride. Thanks for that amazing day!" 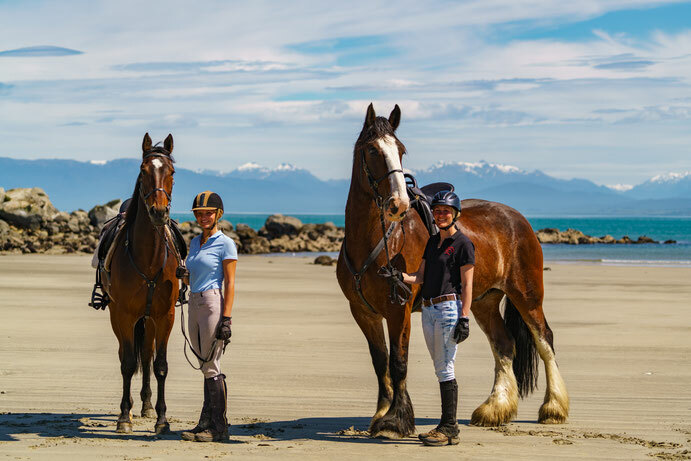 We offer personalised beach, farm and bush rides in New Zealand's stunning South! Our large sheep farm is situated on the Southern Scenic Route between Riverton and Tuatapere and stretches from the sea to the bush. From horse back you will enjoy stunning views over Te Waewae Bay where you can see from Stewart Island to Fiordland. Te Waewae Bay is also home to the Hector Dolphins which are often seen at our rides. 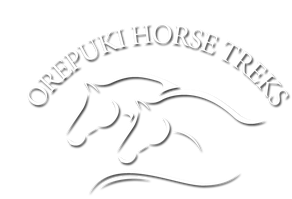 After the ride we can chill out with a coffee at the wonderful Orepuki Beach Café. Our treks are best suited for intermediate to advanced riders. We also have options for novice riders and children. To protect our horses backs, a weight limit of 90 kg applies. Maximum 4 riders.